Yahoo...it's Wednesday again, time for a freebie...hehehehe!!! 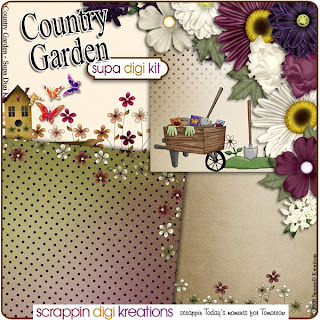 This little number I created from my contribution to this month's Supa Digi Kit - Country Garden. Download the FREEBIE!!! here...and enjoy putting together another quick page for your scrapbook. Pick of the Day and a FREEBIE!!! 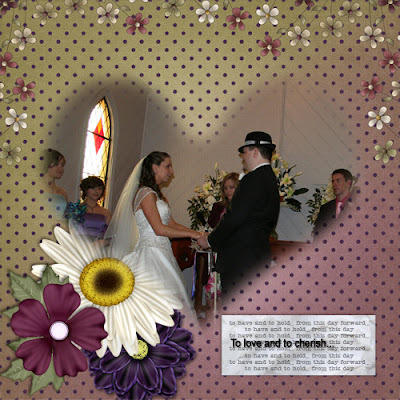 Yes layout no.2 of the wedding...lol...and also my entry for this months Hot Topic challenge over at SDK. I really like how this one turned out, I created the mask with half an idea of what I wanted to do. Download link for the mask can be found below. Now if you like this freebie, check out the post before this one *New Releases*. Be one of the first five to leave me a comment and I'll give you my 'Just Because' brag book for FREE!!! *ENABLING ALERT* and your chance to pick up a FREEBIE...hehehe. 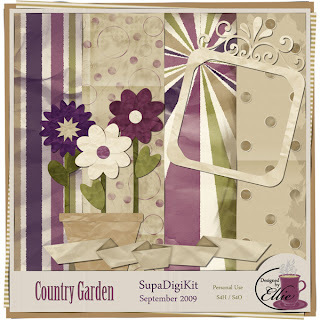 Lorie has a delightful kit in store for you with 'When I see you Smile'. Check out the word art and brag book that coordinate, I love both of these addons! Michelle has a 'Soccer Star' kit available for all those sporty scrappers out there, this kit comes with an alpha but there is another one to coordinate with the kit as well. I have been a bit busy with my 'Just Because' kit and brag book, so don't miss this one. Now...as I love the 'Just Because' brag book so much, I want to give it away to the FIRST 5 ladies that leave me a comment. Yep that's right I want to give it to you for FREE, no strings attached...except of course I would like to see what you do with it but only if you want to show me....hehehehe! smells of a country garden on a glorious summers day. 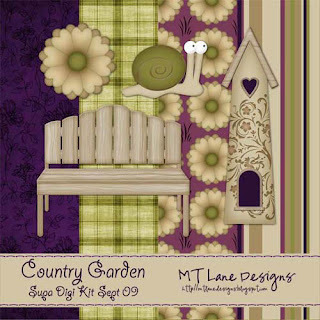 Delight again in natures beauty of a Country Garden! Hehehe...pick of the day is my layout :) hope ya'll don't mind but I have to start showing off the wedding photos...and I vaguely remember threatening to bore you...lol! We are still waiting for the professional photos so in the meantime I will have to use mine. 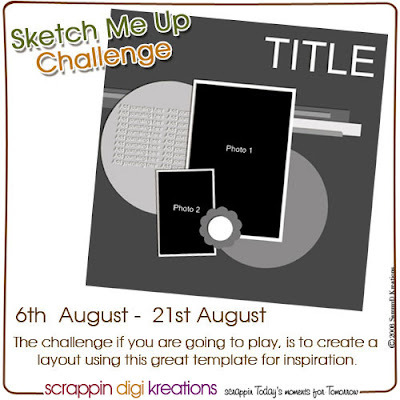 SO here is layout #1...I whipped this one up for the sketch challenge running over at SDK at the moment! Aaaawwww ain't they sweet :) I used some bits and bobs from the June Supa Digi Kits by LorieM and Designed by Ellie, sketch by me (of course). Gorgeous stuff these ladies came up with, thanks Girls...mmmwaaah! 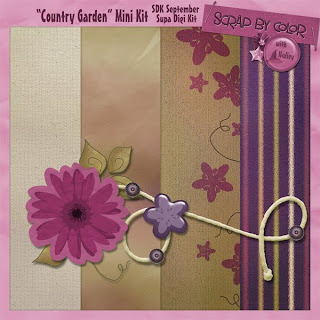 I am a bit of a duffer I forgot to post this freebie last month...DOH! Lets see if we can get the right preview and download...don't know where my head is! Ok just have to show you this layout, the colours are gorgeous...and I love the white space. ..remember the sights, sounds and smells of a country garden on a glorious summers day. 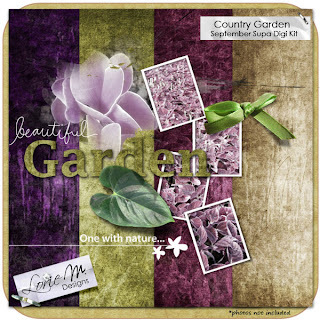 Delight again in natures beauty of a Country Garden with these gorgeous coloured kits! These Ladies received a $4 coupon to LorieM Designs and thank you Ladies for joining in the challenge. I just had to pick this one...this is such a lovely soft layout, girly without the pink! I love Tabea's embellishment placement and what terrific elements they are too! They are from Pixelfairy's Velvety as a Peach...available in the SDK store HERE . Pick of the Day and FREEBIE!!! 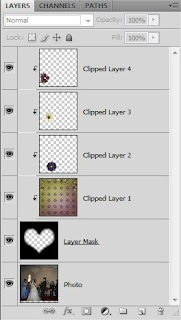 While seaching the SDK Gallery, I came across this great layout by Michelle215. Ok...ok...so I didn't have to search too hard...hehehe! 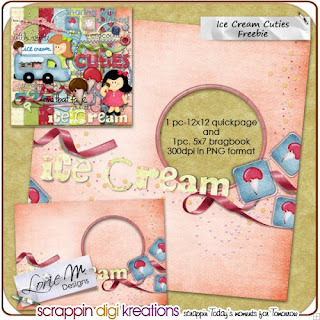 the QP was made using LorieM's Ice Cream Cuties kit available HERE. 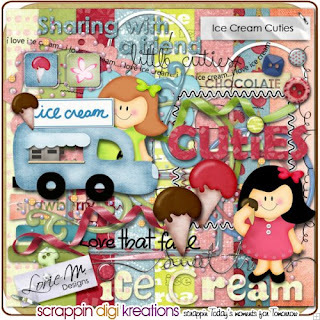 This kit really is so gosh darn cute with doodles & clipart handrawn by Lorie. 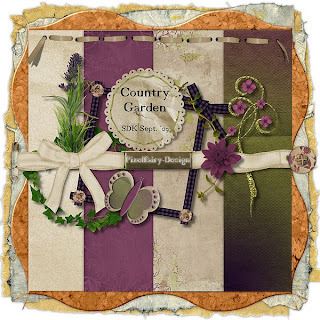 There are wordart and buttons, fames and ribbons, this kit has everything you need to make fun, cutie layouts yourself. You will find the FREEBIE HERE in the SDK store. Thursday CT Layout pick - My Two Homes by Diane...this layout looks like a book and the bling frames are a great way to highlight the photos. Yes ladies it's Wednesday and I'm back on board...the house is looking mostly normal after all the visitors...hehehe! It was wonderful to have my Sister and family plus my Dad stay with us, cooking for 8-10 each night freaked me out a bit but we did it easy :) Hats off to the ladies with large families who do this everynight, you're all champs in my book. The wedding was fabulous (of course) the weather was behaving, the little church looked beautiful and the reception fantastic from the look, to the food, to the guests...fun was had by all. Oh and I have to mention the cake...it was awesome...this thing was 2mt wide x 1.5mt tall with a fibre optic water fountain and castle...WOW! If I can find a decent photo I'll post it, mine just don't do it justice. Woohoo it's Thursday already :), my family have arrived for the wedding so it's a bit of a mad house here at the moment...hehehe...but I'm loving very minute of it! 'Carefree Days' by Diane is so fun and funky, love the happy colours. Brrrr...msbrad's great layout 'Snow in Mira Mesa' captured the fun of snow play. 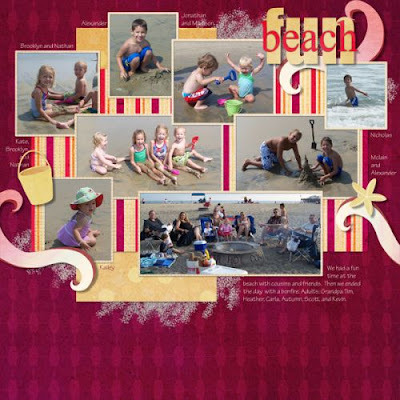 Love the quote ljd2007 used for her fun 'PlayBreak' layout. This month's Supa Digi Kits lent a industrial feel to SammyD's 'Power Station' layout. 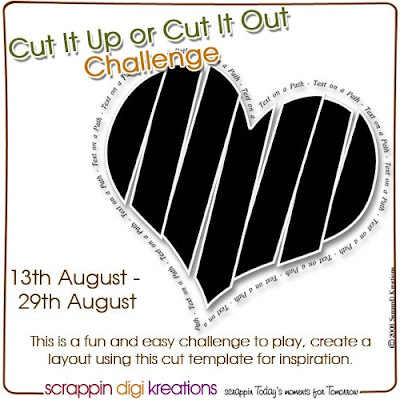 Congratulations Ladies you will be receiving a $4 coupon to Scrap by Color Designs and thank you for joining in thechallenge. 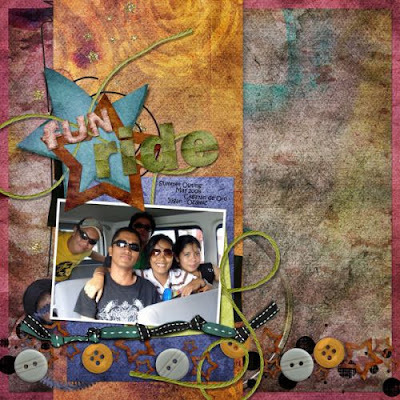 gwacie used LorieM Designs - Fun Ride kit!